To kick off a series of events for ABNF V (celebrating our fifth year of Absent but not Forgotten) we held a one night only retrospective exhibition in The Abacus, Cardiff. An amazing space to show in, we were able to include a number of works from the last 5 years. As well as the installations and artworks we offered evil home-brewed refreshments and toasted the event with our special reserve ‘666’ blackberry wine (brewed from 666 blackberries). 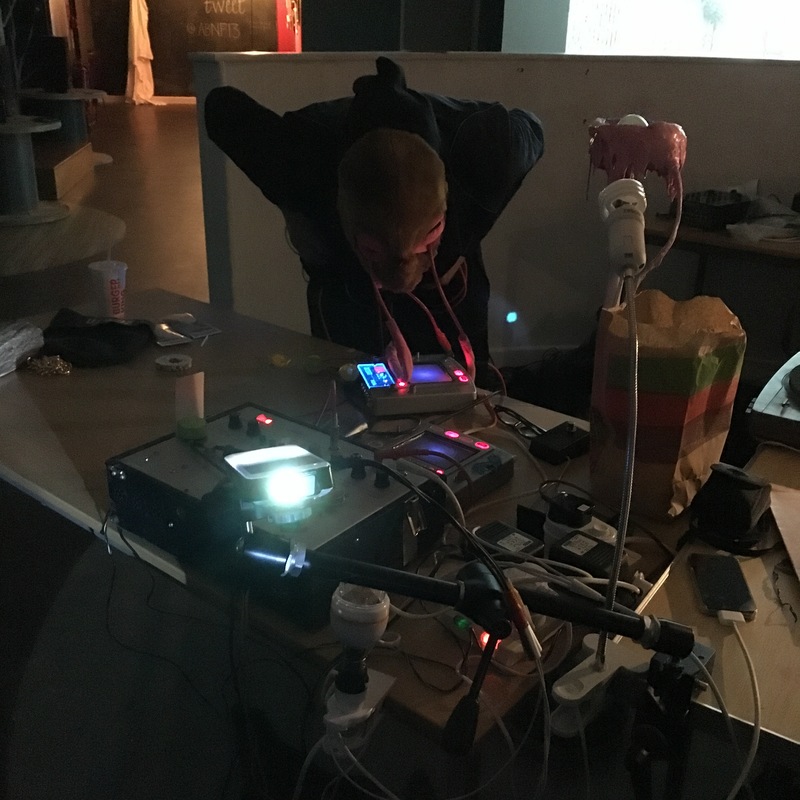 Live Halloween sounds were created by Jacob Whittaker and his vinyl loops of horror and a new performance from invited artist Ian Watson, a truly terrifying blend of electronic noise, mask and sportswear! Our interactive corner invited some homespun ghostly shenanigans – thanks to all our Sheet n’ Tweeters! Come and join us for Halloween to start our 5th birthday celebrations. 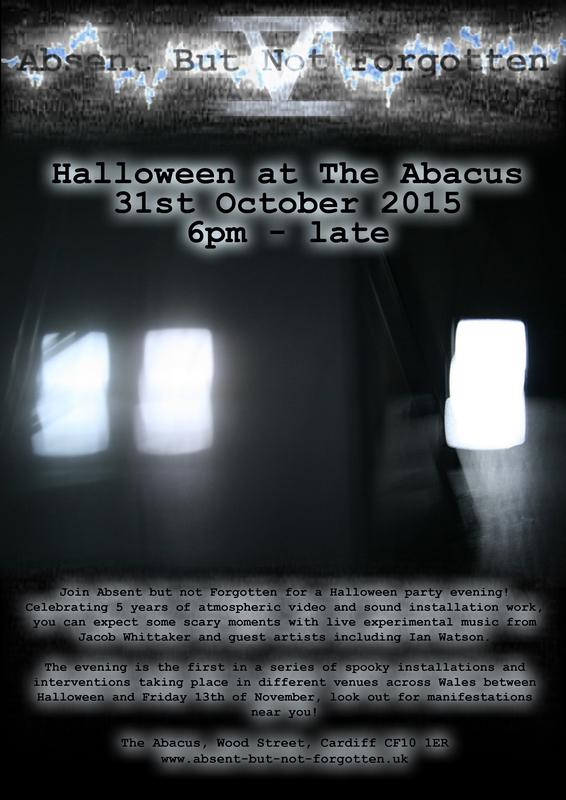 We are in The Abacus on the 31st with a selection of installations and works from the last 5 years. Jacob has brewed a very special wine made from 666 blackberries which may or may not be fatal/palatable/satanic/available ….